I'm borrowing this recipe from my wife. 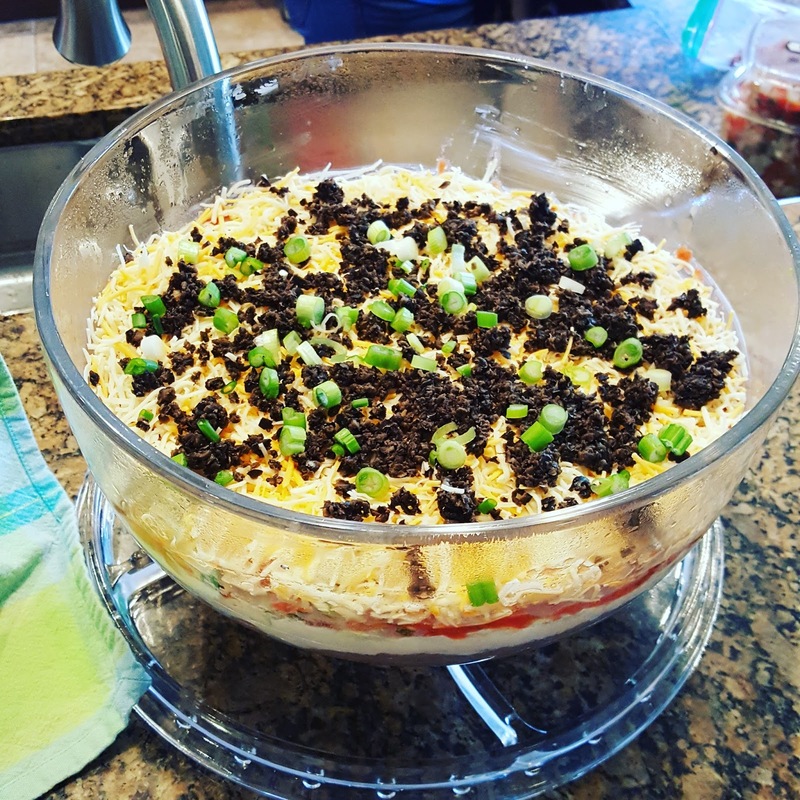 She made a Seven Layer Dip for a Super Bowl Party we went to over the weekend, and I had to share the recipe! Mash the avocados in a bowl. Combine with salt and pepper, lime juice, and the diced onion to make a guacamole. This is the bottom layer of the dip. Combine the 2 cans of refried beans and mix in the cumin, garlic power, onion powder, and some salt and pepper. Spread over the top of the guacamole. Combine the sour cream and cream cheese. Spread this over the refried beans. Combine the salsa and pico de gallo and spread over the sour cream. Top the salsa with the 2 cups of a Mexican blend cheese. Top the cheese with sliced black olives. Dice the green onions and spread over the olives. Serve with tortilla chips.